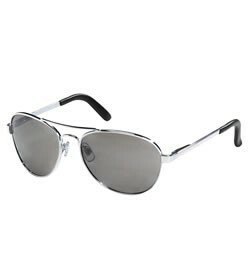 Aviator sunglasses are a flattering shape on just about any face, and always a Summer staple. These oversized avaitors by American Eagle Outfitters are ultra-cool and classic. Grab these great structured shades from American Eagle for only $15.50 and see how they fit you, right here, with ViewTry!